Hitchin Road re-opened to traffic a few hours behind schedule but in readiness for the weekend. 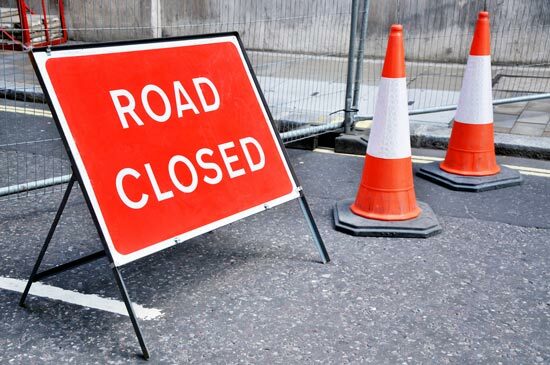 While the five-day closure brought with it traffic chaos, it allowed the groundworks construction teams to achieve projects that will mean that future disruption can be confined to off peak hours and should mean traffic lights will only be in operation between the hours of 9am to 3pm. A look in the daylight and it is obvious that the contractors work is not complete. It is our understanding that re-surfacing work will take place tomorrow (Sunday, December 9) on Dickens Boulevard, while the work on the footpath on the entrance into Fairfield Park remains fenced off and needs completing. The groundworks for the two pelican crossings to allow pedestrian access to the school and new housing has been completed but the lights themselves have yet to be erected. The new footpaths have been started but need surfacing. There also remains the question of resurfacing Hitchin Road itself. We will also continue to be seeking answers from Central Bedfordshire Council as to how the chaos was allowed to happen. We have continually questioned why there has not been better liaison between them and the various contractors involved in the new developments and the Parish Council. These road works have evoked a lot of feelings. However, it has been disappointing to Fairfield’s reputation on the volume of abuse that has been directed at the workforce and also to volunteers when directing traffic when the lights failed. There were two incidences when vehicles deliberately drove at a site workman and one of the volunteers. The failure of the lights during the non-working hours is now a police matter as there is evidence to say that the lights may have been tampered with. These failures of traffic lights may also be linked to other issues involving tampering with play equipment and fly posting notices being placed around Fairfield. All of these concerns are being discussed with Beds Police at a high level due to the risk to public safety. Fly posting is a breach of covenants as well as destroying the environment and enjoyment of residents.